“While I’m a tech geek at heart, my passion for cars is just as strong. However, it’s not just the beauty of a luxury car, the speed of a sports car, or the history behind an antique car that grabs my interest. For me, it’s about the journey that’s possible and the roads you can explore when you get behind the wheel. That’s why, when it came to introducing a new brand that is truly representative of who we are, Boulevard Public Relations stood out as a name that tells our story. A boulevard is a wide, multi-lane road that showcases the integrated services we provide. The trees that line a boulevard represent how we work side-by-side with our clients, operating as a true partner and extension of their business. For someone who loves to drive, the visualization of the open road is perfect. It not only reinforces a personal passion, but also directly connects with our focus on supporting clients on their journey to achieving their business objectives. Jodi Echakowitz, Founder and CEO, Boulevard Public Relations. Founded in 2001 (as Echo PR), Boulevard Public Relations is a full-service, independent public relations and digital marketing agency. Our impressive track record and continued growth through referral speaks to our passion for PR, our incredibly talented and highly experienced team, our deep technology and business expertise, and the strength of the partnerships we develop with our customers. We develop and execute integrated marketing strategies and campaigns that are social by design and deliver measurable success. Since 2001, we have been the PR partner of choice for a variety of clients, from startups and mid-size businesses to global enterprises. Our public relations, content development, digital and integrated marketing services all form part of our own strategy to help our clients achieve their corporate objectives and positively impact their bottom line. The work we do begins with a well-defined strategy that is creative, innovative and designed to address the unique requirements of each client. We are precise in our execution, and continually fine-tune our approach to take advantage of changing market dynamics and opportunities. The success of our business is testament to the network of talented and highly experienced PR specialists, marketing professionals, digital strategists and business writers that are part of our team. We are proud to have some of the brightest stars and sought after professionals in the industry working with us to deliver world-class results for our clients. We are all passionate about the work we do, and pride ourselves on our unfailing tenacity and unwavering commitment to helping our clients succeed. 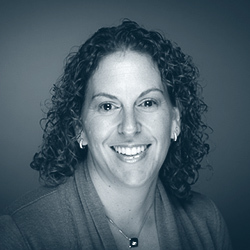 Jodi Echakowitz is founder and CEO of Boulevard PR, the public relations and digital marketing agency she founded in 2001 to help startups, emerging growth companies, and VC firms focused on tech and mobile achieve their goals. Under her leadership, Boulevard PR is a full-service agency that boasts a talented and highly experienced team, is recognized as a strategic partner by clients, and has grown consistently by referral. A tech geek at heart, Jodi has earned a reputation for explaining deep technical concepts in a manner that’s easy for everyone to understand. Her passion for technology began at age 11, when she used BASIC programming on her brother’s Apple II Plus-compatible computer to create simple games. It extended to her first full-time job in her native South Africa, where setting up LAN networks was among her many responsibilities. 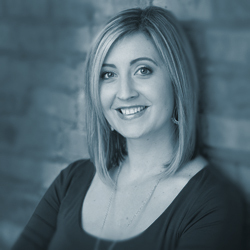 Since emigrating to Canada in 1994, Jodi has been immersed in the world of public relations, holding progressively senior roles at some of Canada’s prominent tech successes (Delano, MGI Software, and Delrina) until starting her PR agency. Her passion for both technology and the startup world has now taken Jodi down the path of aspiring angel investor. In between running Boulevard PR and connecting with her expansive network to identify her first investment, Jodi still makes time to give back by volunteering with causes close to her heart, including the Asperger’s Society of Ontario. Kari Wise has over two decades experience in public relations and marketing communications in both agency and corporate environments. She has been a key consultant on teams at several boutique agencies, developing and implementing campaigns that successfully increase brand visibility and market leadership for national and international clients, from small start-ups to Fortune 100 companies. While Kari’s focus has been on telecommunications and IT over the last several years, she has also spearheaded successful PR and marketing communications programs in the security, energy, semiconductor, building, health, and agribusiness segments. Kari’s expertise includes assisting clients develop and execute multi-faceted communication strategies with compelling messaging that capture media and customer attention. She works in partnership with her clients and uses the full range of social media, online and traditional PR and marketing communications tools to help them build brand awareness, increase market share, launch new products, and support opportunities for M&As. Kari’s success in PR has resulted in several awards of recognition for her clients. Her Small Budget Crisis Communications program for one international client won a Stevie Award. She has helped clients win numerous prestigious awards for products, leadership, customer relations and corporate excellence. 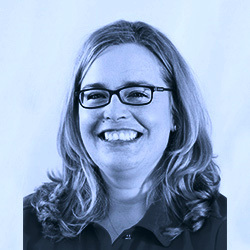 Kari has a Bachelor of Science in Business Administration with an emphasis in Marketing from the University of Phoenix. 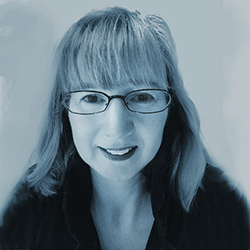 With over 25 years of business communications experience, Terry has provided strategic counsel to communications and marketing teams in both Fortune 500 companies and start-ups – from Hewlett-Packard to simplyaudiobooks.com. Terry is a creative problem solver. He provides excellent conceptual ability to integrate marketing initiatives and move from concept to market profitably. He’s a top-notch written and verbal communicator, motivated by results achievement. 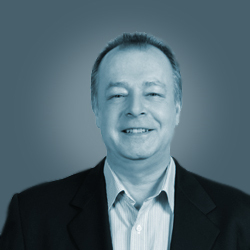 As the first contract hire for BenchMark Communications Inc. in 1993, Terry was instrumental in the early growth, consistent profitability and ultimate success of this marketing communications consulting company that grew from a one-person shop to the fifth largest PR agency in Canada according to PRWeek magazine 2001 rankings. Terry was involved in the sale of BenchMark to the Omnicom Group Inc. in 1998; the merger with Canada Porter Novelli in 2000; and the launch of two separate, subsidiary communications/PR companies in 2002. 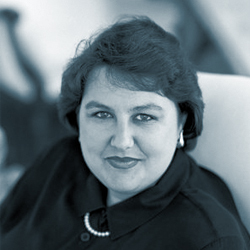 Terry was in print publishing prior to entering the world of public relations and business communications. In the span of 15 years, he was a writer, executive editor and publisher for various magazines including Government Business, CAD/CAM & Robotics and ComputerData, to name but a few. Michelle R. Taylor is a seasoned public relations and communications professional with more than a decade of experience working with companies from start-up to enterprise level. Her expertise lies in positioning brands and executives as experts in their field, as well as providers of choice. Michelle helps organizations create awareness and showcase their industry knowledge to key audiences. 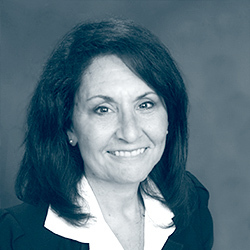 She offers expertise in B2B, consumer, and corporate communications, with experience in technology, real estate, health care, finance and professional services industries, as well as trade associations and non-profits. Her specialties include thought leadership, media relations, social media strategy, speaking opportunities, event strategy, media training, crisis communications, message development and content creation. Michelle is active in Chicago’s non-profit community. She is member of the Junior League of Chicago, and served as social media chair from 2016-2018. She is a former board member and past president of Wish List Chicago, an independent non-profit benefitting Chicagoland children’s hospitals. Michelle is an essential part of the senior leadership team for the advocacy coalition #FreeSyria (formerly #StandWithAleppo), bringing global awareness to the Syrian crisis. She also sits on the advisory board for Sustainable International Medical Relief Organization (SIMRO). 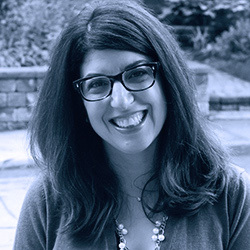 Michelle holds a master’s degree in public communications and public relations from The University of Westminster in London and a bachelor’s degree in communication arts from Marymount Manhattan College in New York. 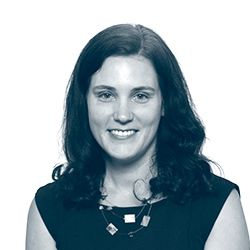 Caroline McGrath is a multi-disciplined marketer and award-winning communications strategist who helps build brands. She brings 15+ years of experience helping organizations reach customers and stakeholders with messages that educate, inform, influence and engage. She has a proven track record developing content-driven PR strategies that build brand awareness, engage audiences and expand customer channels. She specializes in B2B and B2C markets including telecommunications, information technology, energy, mining/minerals, CleanTech, sustainability and CSR. Caroline’s experience includes roles in corporate, government and agency environments, with integrated skills that cross owned, earned and paid platforms. Her corporate background includes senior roles with global industry leaders and innovators such as Seiko Epson, Tektronix and Xerox. She has worked with government and not-for-profit organizations such as the AGCO (Alcohol & Gaming Commission of Ontario) and Skills/Compétences Canada. In 2007, Caroline launched CMM Communications Inc., a network-based consultancy that provides strategic PR planning and communications services for clients in enterprise, industrial, public sector and consumer markets. Brand portfolio includes Bell Sympatico, Globalstar Canada Satellite Co., SPOT LLC, Fluke Electronics Canada, Fluke Networks, BioteQ Environmental Technologies, CentriLogic, and the Canadian Institute of Mining, Metallurgy and Petroleum. Caroline works with boutique and leading PR agencies, providing freelance consulting services. Caroline is a recipient of an ACE Award from the Canadian Public Relations Society. She has served on the Board of the Internet Advertising Bureau of Canada, and holds a Bachelor of Arts Degree from Carleton University. Kathy Hughes brings several years of administrative experience in public relations and the financial services industry to the Boulevard team. A detail-oriented person with strong analytical skills, Kathy is focused on a combination of editorial research, database development and management, and administrative support. Prior to her work in public relations, Kathy was with Sprott Securities Ltd., a boutique institutional brokerage firm, where she assisted the President and CEO. She was previously a retail investment advisor assistant with Nesbitt Burns. During her time there, she dealt with all aspects of retail brokerage services, from client trading to reports. She began her career in client relations with a mutual funds company after graduating from Queen’s University. Michelle Magee is a Senior PR Consultant specializing in media and blogger relations. Michelle is known for her strong knowledge of the media and her excellent relationships with reporters, producers, lifestyle bloggers and other gatekeepers. Michelle consistently places stories for clients with mainstream media outlets as well as trade and business publications. Her creativity in pitching stories is matched by her commitment to delivering consistent and outstanding results. Michelle develops and executes strategic and highly targeted media strategies for a broad range of clients – from consumer technology and personal finance to travel. Since 1995, Michelle has worked on both the corporate and agency sides of the business. She started her career with Hill & Knowlton Canada and then moved onto the corporate side for Encana (formerly PanCanadian). During her career, her clients have been among the best brands in consumer packaged goods, technology, associations, health care, fashion, personal finance, travel and home decor. She has been working with Echo for the past 10 years. Michelle holds a Bachelor of Public Relations from Mount Saint Vincent University and a Bachelor of Arts (Honours English) from Queen’s University. She is based in Toronto. Tonja Aldis is a results-driven marketing and public relations consultant with extensive experience supporting the needs of companies in the high tech sector. Her marcom and PR expertise includes working with Silicon Valley-based startups looking to expand their reach in North America and beyond. With a primary focus on media relations and community management, Tonja has secured coverage in many top tier media outlets and blogs, and has managed social media programs to help companies build their communities and maintain a consistent presence across social channels. Tonja also has experience with uncovering and securing many speaking opportunities at high profile industry conferences. Prior to joining the consulting world, Tonja worked at various startups in the San Francisco Bay Area running marketing programs and events, lead generation, marketing communications, and website projects. She has worked with early stage startup companies, as well as small, and medium sized businesses. Tonja holds a Bachelor of Arts Degree in English from Carleton University. A graduate of the Wharton School, Lisa Ballard has public relations and marketing communications experience across the spectrum of the marketing mix in the technology sector. 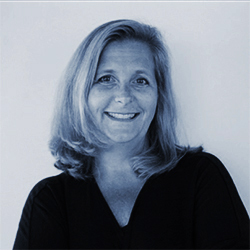 For the last two decades she has focused on public relations and content marketing for a range of agencies and companies including Barco, Philips, Cox Enterprises, Motorola and numerous B2B software providers. She was the Senior Vice President and technology practice leader for Manning Selvage & Lee (MSL Group) Atlanta office and has worked with other top agencies such as Fleishman Hillard, Burson Marsteller, and Ogilvy/Alexander. Prior to concentrating on public relations, Lisa was marketing director for various software and hardware vendors. As the Senior Manager of Partner Development for Earthlink’s business development team, Lisa managed strategic content and commerce partnerships valued in excess of $2.5 million annually with companies such as Google and Vonage. In less than six months she doubled annual revenues from search on the ISP’s site. Lisa’s dual degrees from the University of Pennsylvania’s Wharton School and the School of Engineering and Applied Science combine to provide a unique perspective from which to solve communications challenges. As a digital communications and social media marketing strategist, Eden works with startups, agencies and top-tier companies, helping them cut through the online noise and create programs that are engaging, inspired and different. She believes in the power of online conversations and experiences, and how they can challenge people’s perceptions of brands. With 25 years of communications experience, including 19 years in digital, Eden has a knack for integrating online campaigns into overall marketing plans in a way that is seamless, smart and strategic. From concept to execution to monitoring and measurement, Eden helps companies develop programs that transform brands, build relationships and grow businesses. Instagram where she loves sharing photos of her adventures. Backed by over 12 years of experience, Lizanne McReelis develops and implements effective, integrated business-to-business marketing communications programs that strategically map back to clients’ business goals and deliver high-impact results. Lizanne has worked in both agency and corporate environments. Before establishing her own consulting practice, Lizanne was at an award-winning PR agency, Strategic Objectives, where she managed the Interac Association account and exceeded client expectations by delivering unprecedented results within an extremely short time frame. Prior to this role, Lizanne was at Ingram Micro where she led the Fortune 500 Company’s marketing services department and developed targeted marketing communications programs for IT vendors and resellers in Canada. 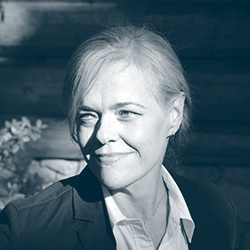 In addition, Lizanne has held senior communications roles at Hewlett-Packard (Canada) Co., Porter Novelli Canada, and Hummingbird Communications. 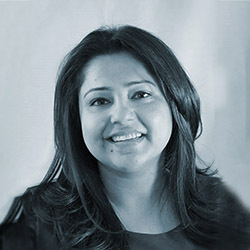 Sumeeta Kohli has over 12 years experience in the telecommunications and IT industry. Her particular area of focus is strategically-driven B2B and B2C marketing programs and campaign management in key verticals such as retail, partner and c-commerce based marketing. Throughout her career, she has developed extensive expertise in strategic development, management and execution of global partner online portals and marketing program management, with a focus on acquisition and retention-focused campaigns. Sumeeta was most recently a Senior Program Manager with Research in Motion (RIM), where she was responsible for global marketing management. Prior to that, she was a Small Business Channel Manager with Rogers, where she led strategic development and execution on small business distribution channels to drive profitability and performance growth. Sumeeta began her career with North America’s top IT Distributor, driving both b2b and b2C reseller-based marketing programs and campaigns. Meredith LeJeune is an award-winning public relations professional who has developed and executed numerous high-impact media relations and social media campaigns. A 13-year industry veteran, LeJeune has served on the boards of journalism and public relations organizations including the Hampton Roads chapter of the Public Relations Society of America (PRSA), Black Public Relations Society Atlanta and New York chapters, and the Hampton Roads Black Media Professionals, a local chapter of the National Association of Black Journalists. 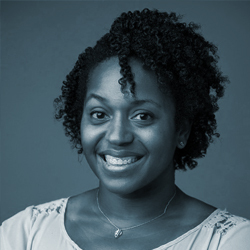 Recognized as one of PRSA New York’s 2017 Top 15 professionals under 35 to follow and a member of the chapter’s Young Professionals Advisory Committee, Lejeune is founder of Thought Bubble Communications. In this role, she frequently partners with other agencies to develop and launch national marketing and public relations campaigns for leading brands such as The National Black MBA Association, Coca-Cola and Toyota.